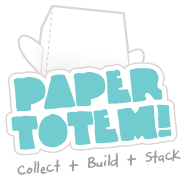 Paper Totem! - Osmar Intre! Today it's exactly one year since my very first blog post! Hip hip hooray :)) It's been a super fun, crazy crafty year which went by in a flash. Over the year I got to meet so many of you brilliant designers and other lovely folks worldwide. 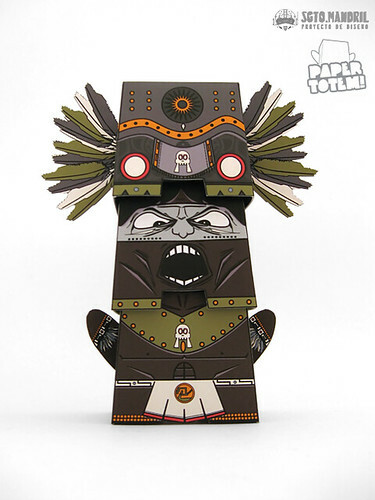 Check out this intergalactic Paper Totem! which has just landed named Totem Robo! 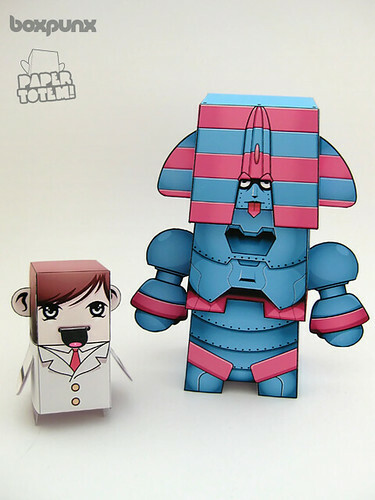 This impressive looking robot is designed by Harlancore of course well known for his boxpunx series. As a super bonus Harlancore has added a special edition boxpunx companion to go with the Totem Robo ^___^ Cheers heaps Jason! 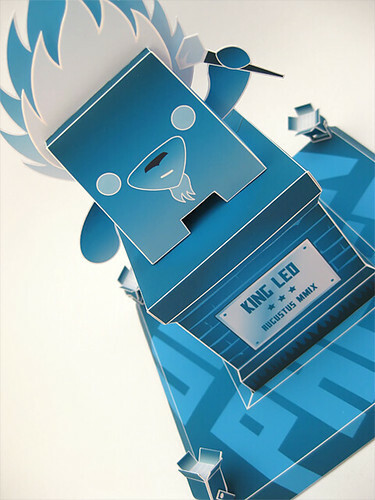 For the show I designed 3 new toys: a blue statue of King Leo, a birdy-panda-whale-licking beaver Dolly Paper Totem! and the big brainiac Billy Brains! The totem train is on the move again, next stop Mexico Totem by sgto.mandril! 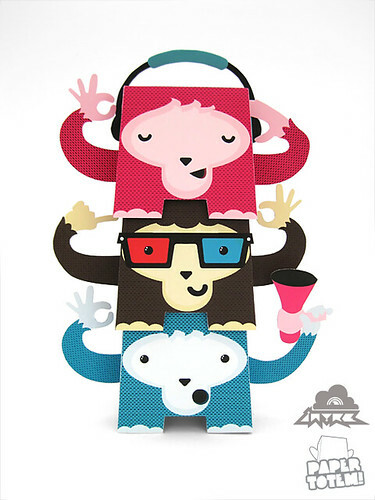 He has created three crazy detailed pieces which stacked together form this screaming chap :) sgto.mandril also designed some other brilliant paper toys for all you paper toy lovers out there so be sure to pay a visit to his website!